Eloise and Ward participate in the memory-care facility's various programs, including attending gym classes. The facility believes that an active body and mind is one way to avoid the side effects of Alzheimer's. Mementos of the couple's past are displayed in their room at a memory-care facility in Lincoln, Nebraska, where they now reside. They were married in 1948. Increasingly, there are days that Ward does not remember his wife. He has moments when he thinks that other women living in the memory-care facility are Eloise, the person who he built his life with. Eloise checks on Ward while he sleeps one afternoon. He had fallen just days before. She could not remember what day the fall occurred, but says that she was thankful that they in a facility, where people were able to immediately help. Eloise's caretaker curls her hair at least once a week. Since moving into the memory-care facility, Eloise now rarely styles her own hair or showers on her own. Still, she remembers her favorite hairstyle, the pageboy, which she had in college. For the memory-care facility’s annual Christmas caroling concert, Eloise played the carols on piano for the other residents to sing along to. 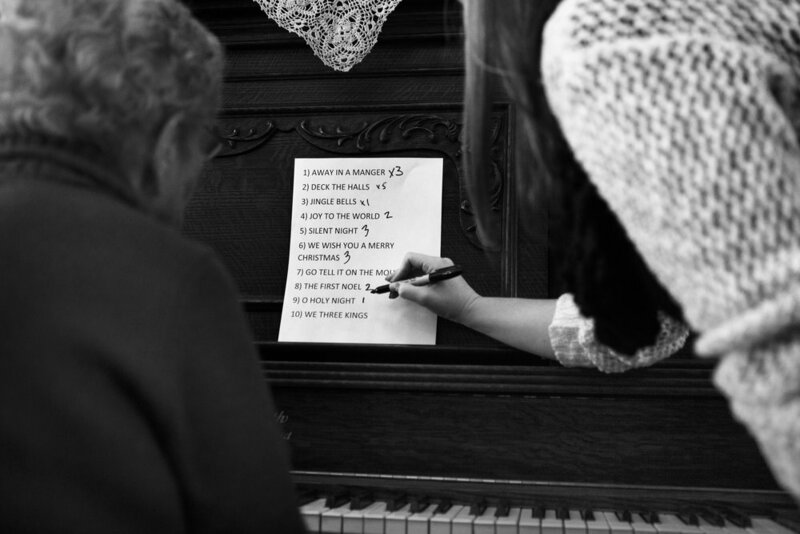 She was able to remember all of the music notes, but just not the number of times she had played each chorus. All of her adult life, Eloise was a piano teacher. At one time, she had more than 60 students visiting her home each week. The disease affects some parts of the brain more than others. Even though Ward may not mentally always remember Eloise, he physically relies on her guidance, almost always holding his wife's hand to navigate through his increasingly unfamiliar world. Over time, he became quieter, his wife instead speaking for him. After falling one morning, Eloise and the couple’s caretaker, Kathleen, check Ward into a local emergency room. He sits in a hospital bed, hands outstretched. 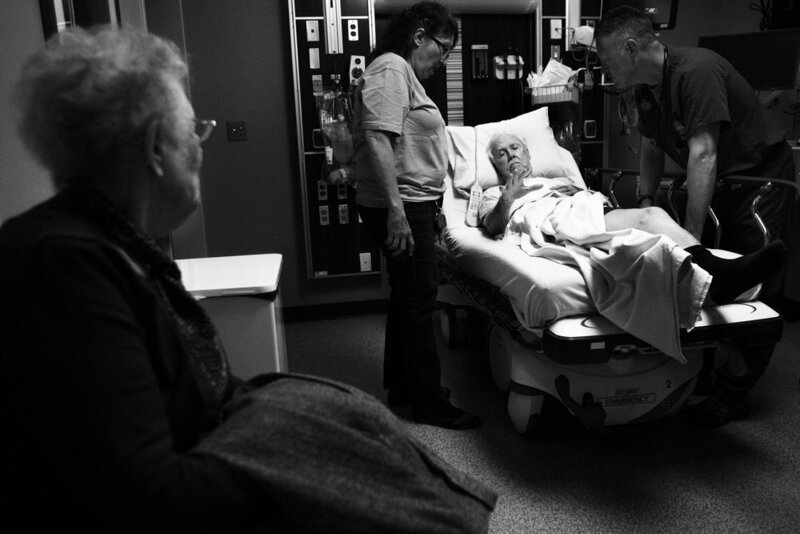 Unable to assist her husband in the situation, Eloise sits in the corner of the hospital room, watching their caretaker and a doctor instead help him. 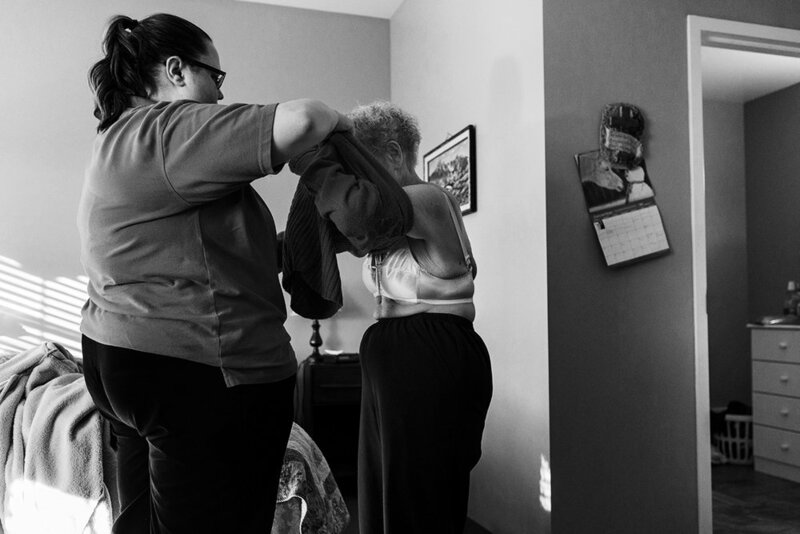 One of the memory-care facility employees assists Eloise in getting dressed. She was, at first, unhappy with her and Ward's move into the memory-care facility. 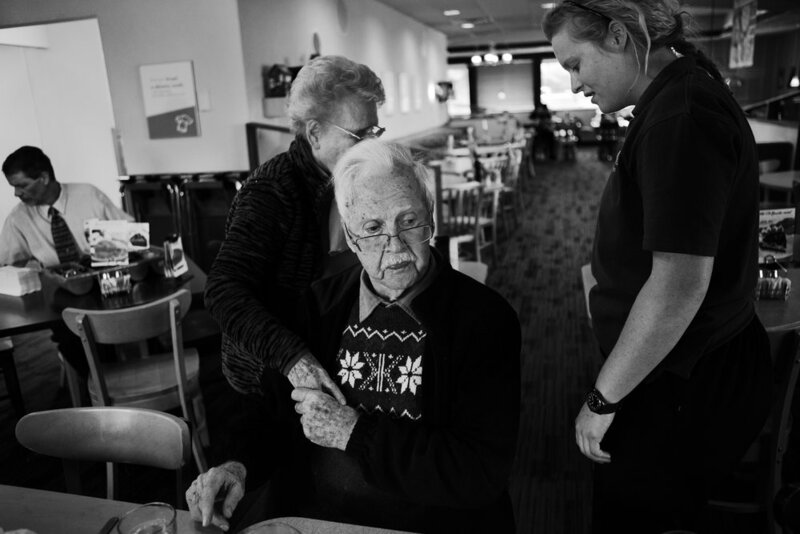 Now, she and her husband rely on either her personal caretaker or the facility's employees to help them with many daily tasks. Ward, unaware of where to go after standing up, listens to the couple's caretaker, Kathleen, during an outing one afternoon. She believes that it is beneficial for those diagnosed with the disease to get out and see things, to keep their memory sharp and establish normality. 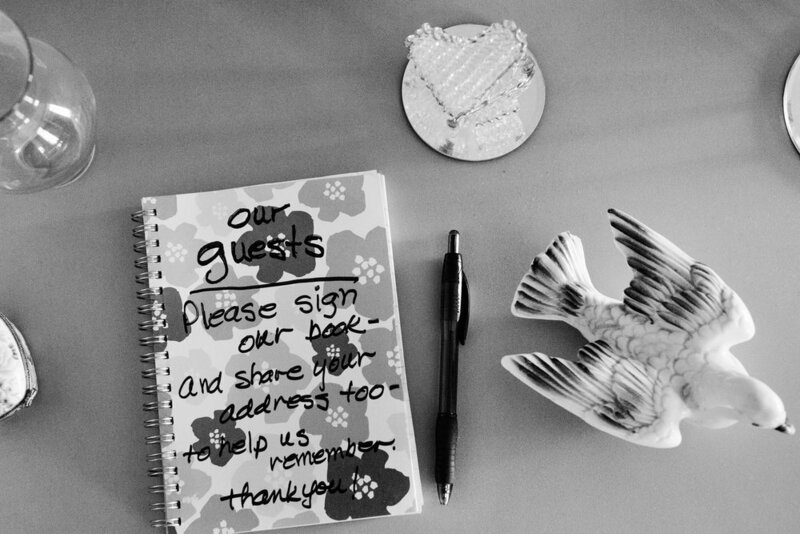 Eloise and Ward's children created a guest book for those that visit the couple, to make it easier for them to remember. The couple's son and his wife pick up Ward and Eloise from the memory-care facility every Saturday morning. Ward's life had been at his Seventh Day Adventist church. For years, he was a theology professor at the church's college. He never forgets about attending the weekly Sabbath. Eloise stares out the windshield of her caretaker's vehicle while on an outing. Ward grasps his wife's hand. The couple first met in college in 1945 during a handshake, a school-sponsored event in which people line up and greet one another, as a way of getting acquainted. During the handshake, Eloise says that she turned to her then roommate and whispered, “That’s the man I’m going to marry someday,” and pointed to Ward in the crowd. It was at this moment that she remembers falling in love with him. Even though they may not always remember each other, the love shared between Eloise and Ward remains. Ward sits in the couple's room. When he and his wife still lived in their home, Ward would sit outside and watch the squirrels and the birds play. In April 2017, Ward passed away, leaving Eloise behind.